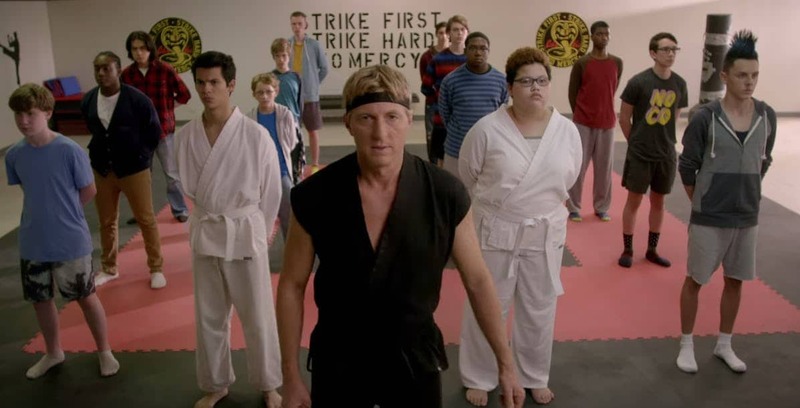 The first season of Cobra Kai hit like a nostalgic bomb for a lot of us and the fallout was that many fans, old and new, were simply floored with what we got, in the best way possible of course. Cobra Kai opened up a whole new idea that Johnny, despite being a jerk in the first movie, was not wholly responsible for his attitude no matter that it was in fact a choice. He didn’t have the easiest time at home and needed someone to lash out at, or at least try to understand him. Instead he found John Kreese, an egotist that taught him how to hurt people and little else. Cobra Kai has opened Johnny up as a character instead of a stereotypical villain and has given us something to think about since Daniel came out as a rather big jerk in the first season despite the fact that he too found himself and started wising up by the end. It’s going to be a clash between Miyagi-Do and Cobra Kai, that prediction is a given. Here are a few other predictions that will hopefully come to light. 5. Kreese is going to wreak havoc with the Cobra Kai.